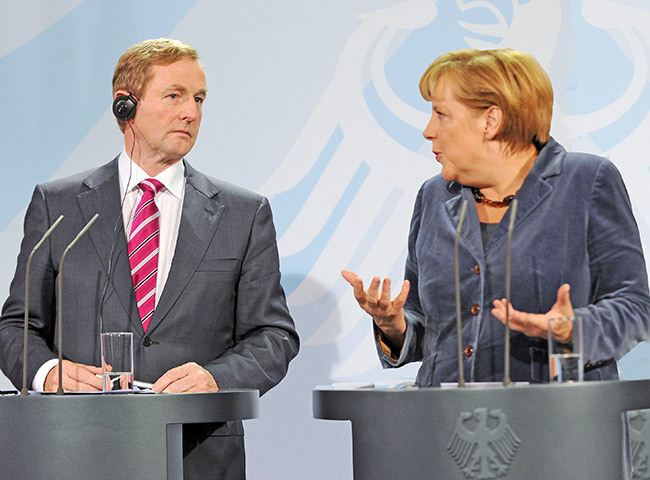 IT WAS NO SURPRISE that Taoiseach Enda Kenny was treated with plain indifference – if not open contempt – when he obsequiously presented himself before the European Union’s leader of ultimate resort, Angela Merkel, to plead Ireland’s case in the aftermath of Brexit. The operative word is ‘plead’. 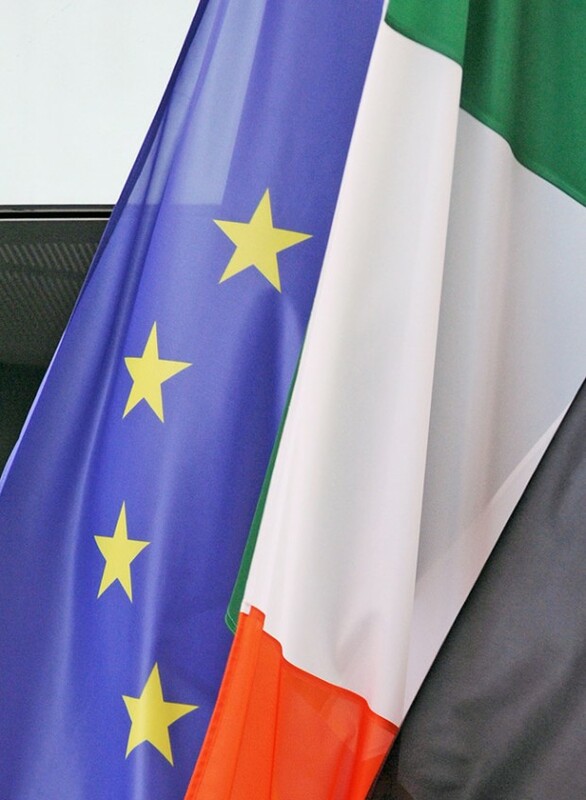 It was right that the Taoiseach should immediately get involved to make sure that the specific interests of Ireland were advanced in any negotiations which the EU will have with Britain, but his job wasn’t to plead humbly that Ireland has a more direct involvement with the consequences of Brexit than any other member state. His job was to tell the EU what Ireland needs. Above all, Ireland cannot accept a hard border in our country, separating North from South, or interfering in any way with the free movement of people or trade North and South. Instead, Merkel listened, gave Enda an encouraging pat on the back and indifferently informed him that Ireland’s interests were just one among those of the 27 states. We should not be surprised by this. Throughout the banking crisis, the EU as a whole, and Germany in particular, paid no attention to Ireland’s needs as 42% of the costs of Europe’s banking crisis were heaped upon us. What we needed was a bit of realpolitik of our own, an Irish Government that would be determined unashamedly to insist that Ireland’s priority be recognised in any EU negotiation. Brexit has caused a major shock to the EU system but the Irish Government has no vision whatever of how to take advantage of this. Fine Gael/Labour Governments, and Fianna Fáil ones before them, have been content for years to meekly tug the forelock at every EU development towards a superstate, extinguishing the last remnant of national sovereignty, and to row behind Britain in the councils of Europe. 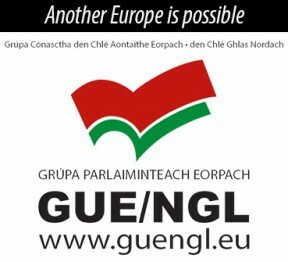 No attention has ever been paid to building alliances with other peripheral member states; and when some of these countries – notably Poland, Hungary, Slovakia and the Czech Republic – publicly expressed their unhappiness with the EU elite and its superstate ambitions, Ireland remained silent and indifferent. We chose instead to be “best boy in the class”, to get the smiles of approval of Merkel & Co. Now we find yet again that the “best boy in the class” gets the worst deal. A whole range of new treaties has now to be negotiated, centering on, but exclusively related to, future relations of Britain to the EU. Clearly there are major dangers to us in this if the EU is allowed to indulge its superstate ambitions by insisting on a hard border in Ireland. But there are also opportunities if we act together, particulary with popular movements throughout Europe who reject the austerity that lies at the heart of the EU. The very fact of renegotiation of treaties opens up the possibility of dismantling an EU that has gone beyond the original purpose for which it was sold to the Irish people – namely economic and trading co-operation, help for less developed economies and so on. Joining the original European Economic Community gave us higher prices for our agricultural produce, access to the wider European market, and important transfers of funds which enabled us to develop our infrastructure. But these benefits came at a cost. Our fisheries were signed over, lock, stock and barrel. The number of family farms was seriously reduced, and intense emigration has been a permanent feature of membership, with only a short break during the bubble economic years 1998-2007 when we appeared to have a thriving economy. Now it all lies in tatters. The Irish people, like the Greek people, have been forced to carry a major economic burden that has left thousands either homeless or in fear of homelessness, with wages depressed and jobs insecure, while the bosses get richer and more brutal in their overlordship of the economy. To have a decent way forward, with job security and good wages, we must break with austerity and the policies that put the interests of financiers and investors first. But to do that we need to dismantle the current austerity EU by using Brexit negotiations to force a different Europe onto the agenda. Unfortunately, we don’t have a government that even remotely considers such an option. The shaming performance of the Fine Gael leader in Berlin merely emphasises why we need governmental change sooner rather than later.